The federal government is known for its harsh penalties for drug crimes. You can spend years in federal prison for a simple possession charge that would be considered a minor infraction in the state of California. More serious drug crimes like drug trafficking can result in even harsher prison sentences and fines. If you or a loved one is facing a federal drug trafficking charge, we urge you to hire an experienced Wallin & Klarich attorney to fight for you. Create, distribute, dispense or possess with intent to distribute or dispense a counterfeit substance. Accused of federal drug trafficking? A controlled substance can be anything from marijuana to hard drugs (like cocaine, heroin or methamphetamines) to prescription medication (like Vicodin or Oxycontin). A counterfeit substance is a controlled substance that has the container or labeling of any trademark, trade name, identifying mark, imprint, number, device or any likeness thereof, of a manufacturer, distributor or dispenser without authorization. Common drug trafficking crimes in the United States include the making, sale or manufacturing of drugs and the transportation of drugs across state or international borders. What Must be Proven to Convict You of Federal Drug Trafficking? To be convicted of federal drug trafficking, the prosecution must prove beyond a reasonable doubt that you had the specific intent to traffic drugs. If you had no knowledge that you were transporting drugs, you cannot be convicted of federal drug trafficking. What are the Defenses to a Federal Drug Trafficking Charge? The Wallin & Klarich attorneys know the defenses to federal drug trafficking charges. Lack of/insufficient evidence: The prosecution’s evidence is not reliable or sufficient to prove beyond a reasonable doubt that you had the intent to traffic drugs. There was no intent to traffic drugs: You were honestly not aware that you were trafficking drugs. Illegal search and seizure: Law enforcement conducted an illegal search of your property. What are the Penalties of a Federal Drug Trafficking Conviction? In the United States, controlled substances are divided into five schedules under the Controlled Substances Act. Substances are placed in their respective schedules based on whether they have a currently accepted medical use for treatment in the United States, their relative abuse potential and likelihood of causing dependence when abused. A first-time conviction for trafficking less than 50 kilograms of marijuana mixture (or up to 49 marijuana plants) is a felony punishable by up to five years in federal prison and a $250,000 fine. A second conviction is punishable by up to ten years in federal prison and a $500,000 fine. A federal drug trafficking conviction is a serious offense. A first-time conviction for trafficking 50 kilograms to less than 100 kilograms of marijuana mixture (or 50 to 99 marijuana plants) is punishable by up to 20 years in federal prison and a $1 million fine. If death or serious bodily injury occurred, the sentence is 20 years to life in federal prison. A second conviction is punishable by up to 30 years in federal prison and a $2 million fine. If death or serious bodily injury occurred, the sentence life in federal prison. A first-time conviction for trafficking 100 kilograms to less than 1,000 kilograms of marijuana mixture (or 100 to 999 marijuana plants) is punishable by five to 40 years in federal prison and a fine of up $2 million. If death or serious bodily injury occurred, the sentence is 20 years to life in federal prison. A second conviction is punishable by ten years to life in federal prison and a fine of up to $4 million. If death or serious bodily injury occurred, the sentence is life in federal prison. A first-time conviction for trafficking 1,000 kilograms or more of marijuana mixture (or 1,000 or more marijuana plants) is punishable by ten years to life in federal prison and a fine of up to $4 million. If death or serious bodily injury occurred, the sentence is 20 years to life in federal prison. A second conviction is punishable by 20 years to life in federal prison and a fine of up to $8 million. If death or serious bodily injury occurred, the sentence is life in federal prison. A first-time conviction for trafficking 100 grams to 1 kilogram of heroin is a felony punishable by five to 40 years in federal prison and a fine of up to $2 million. If death or serious bodily injury occurred, the federal prison sentence is 20 years to life. A second conviction is punishable by 10 years to life in federal prison and a fine of up to $4 million. If death or serious bodily injury occurred, the sentence is life in federal prison. A first-time conviction for trafficking 1 kilogram or more of heroin is punishable by ten years to life in federal prison and a fine of up to $4 million. If death or serious bodily injury occurred, the federal prison sentence is 20 years to life. A second conviction is punishable by 20 years to life in federal prison and a fine of up to $8 million. If death or serious bodily injury occurred, the sentence is life in federal prison. The punishment for any subsequent conviction is life in federal prison. A first-time conviction for trafficking 1 gram to less than 10 grams of LSD is a felony punishable by five to 40 years in federal prison and a fine of up to $2 million. If death or serious bodily injury occurred, the federal prison sentence is 20 years to life. A second conviction is punishable by 10 years to life in federal prison and a fine of up to $4 million. If death or serious bodily injury occurred, the sentence is life in federal prison. A first-time conviction for trafficking 10 grams or more of LSD is punishable by ten years to life in federal prison and a fine of up to $4 million. If death or serious bodily injury occurred, the federal prison sentence is 20 years to life. A second conviction is punishable by 20 years to life in federal prison and a fine of up to $8 million. If death or serious bodily injury occurred, the sentence is life in federal prison. The punishment for any subsequent conviction is life in federal prison. A first-time conviction for trafficking 10 grams to less than 100 grams of Fentanyl Analogue is a felony punishable by five to 40 years in federal prison and a fine of up to $2 million. If death or serious bodily injury occurred, the federal prison sentence is 20 years to life. A second conviction is punishable by 10 years to life in federal prison and a fine of up to $4 million. If death or serious bodily injury occurred, the sentence is life in federal prison. A first-time conviction for trafficking 100 grams or more of Fentanyl Analogue is punishable by ten years to life in federal prison and a fine of up to $4 million. If death or serious bodily injury occurred, the federal prison sentence is 20 years to life. A second conviction is punishable by 20 years to life in federal prison and a fine of up to $8 million. If death or serious bodily injury occurred, the sentence is life in federal prison. The punishment for any subsequent conviction is life in federal prison. A first-time conviction for trafficking 500 to less than 5000 grams of cocaine (or five to less than 50 grams of cocaine base) is a felony punishable by five to 40 years in federal prison and a fine of up to $2 million. If death or serious bodily injury occurred, the federal prison sentence is 20 years to life. A second conviction is punishable by 10 years to life in federal prison and a fine of up to $4 million. If death or serious bodily injury occurred, the sentence is life in federal prison. A first-time conviction for trafficking five kilograms or more of cocaine (or 50 grams or more of cocaine base) is punishable by ten years to life in federal prison and a fine of up to $4 million. If death or serious bodily injury occurred, the federal prison sentence is 20 years to life. A second conviction is punishable by 20 years to life in federal prison and a fine of up to $8 million. If death or serious bodily injury occurred, the sentence is life in federal prison. The punishment for any subsequent conviction is life in federal prison. You may face a long prison time for a methamphetamine trafficking conviction. A first-time conviction for trafficking five to less than 50 grams of pure methamphetamine (or 50 to less than 500 grams of methamphetamine mixture) is a felony punishable by five to 40 years in federal prison and a fine of up to $2 million. If death or serious bodily injury occurred, the federal prison sentence is 20 years to life. A second conviction is punishable by 10 years to life in federal prison and a fine of up to $4 million. If death or serious bodily injury occurred, the sentence is life in federal prison. A first-time conviction for trafficking 50 grams or more pure methamphetamine (or 50 grams or more of methamphetamine mixture) is punishable by ten years to life in federal prison and a fine of up to $4 million. If death or serious bodily injury occurred, the federal prison sentence is 20 years to life. A second conviction is punishable by 20 years to life in federal prison and a fine of up to $8 million. If death or serious bodily injury occurred, the sentence is life in federal prison. A first-time conviction for trafficking 10 to less than 100 grams of pure PCP (or 100 to less than 1,000 grams of PCP mixture) is a felony punishable by five to 40 years in federal prison and a fine of up to $2 million. If death or serious bodily injury occurred, the federal prison sentence is 20 years to life. A second conviction is punishable by 10 years to life in federal prison and a fine of up to $4 million. If death or serious bodily injury occurred, the sentence is life in federal prison. A first-time conviction for trafficking 100 grams or more pure PCP (or 1 kilogram or more of PCP mixture) is punishable by ten years to life in federal prison and a fine of up to $4 million. If death or serious bodily injury occurred, the federal prison sentence is 20 years to life. A second conviction is punishable by 20 years to life in federal prison and a fine of up to $8 million. If death or serious bodily injury occurred, the sentence is life in federal prison. Examples of Schedule III drugs include Vicodin, Tylenol with Codeine, Suboxone, Didrex, phendimetrazine, ketamine and anabolic steroids. A first-time conviction for trafficking any amount of a Schedule III drug is punishable by up to five years in federal prison and a $250,000 fine. A second conviction is punishable by up to ten years in federal prison and a $500,000 fine. A conviction for trafficking less than 30 milligrams of flunitrazepam is punishable by up to three years in federal prison and a $250,000 fine. A second conviction is punishable by up to six years in federal prison and a $500,000 fine. A conviction for trafficking 30 to less than 1,000 milligrams of flunitrazepam is punishable by up to five years in federal prison and a $250,000 fine. A second conviction is punishable by up to ten years in federal prison and a $500,000 fine. A conviction for trafficking 1 gram or more of flunitrazepam is punishable by up to 20 years in federal prison and a $1 million fine. If death or serious bodily injury occurred, the sentence is 20 years to life in federal prison. A second conviction is punishable by up to 30 years in federal prison and a $2 million fine. If death or serious bodily injury occurred, the sentence is life in federal prison. Other Schedule IV Drugs include Xanax, Soma, Klonopin, Tranxene, Valium, Ativan, Versed, Restoril and Halcion. A first-time conviction for trafficking any amount of a Schedule IV drug (other than Flunitrazepam) is punishable by up to three years in federal prison and a $250,000 fine. A second conviction is punishable by up to six years in federal prison and a $500,000 fine. Examples of Schedule V Drugs include cough medication containing up to 200 milligrams of codeine per 100 milliliters or per 100 grams (like Robitussin AC and Phenergan with Codeine) and ezogabine. A first-time conviction for trafficking any amount of a Schedule V drug is punishable by up to one year in federal prison and a $100,000 fine. A second conviction is punishable by up to two years in federal prison and a $200,000 fine. If you or a loved one is facing a federal drug trafficking charge, it is critical that you speak to an experienced criminal defense attorney. 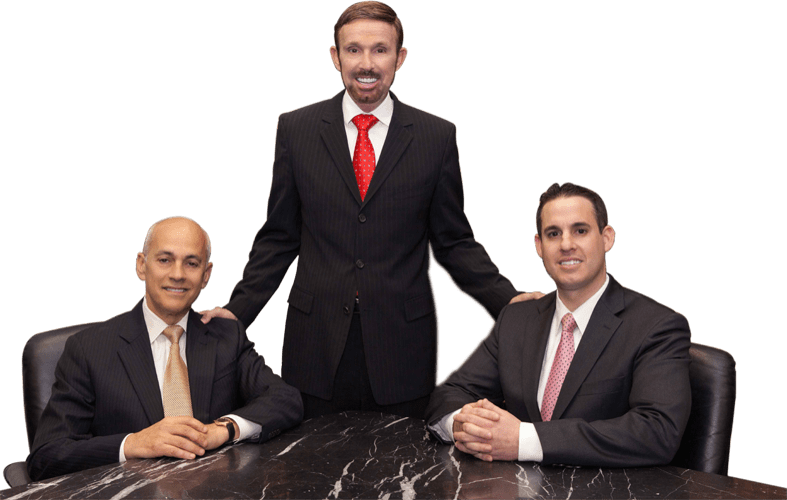 At Wallin & Klarich, our attorneys have over 30 years of experience in successfully defending persons charged with federal crimes. Our attorneys will fight to get you the best possible outcome in your case.